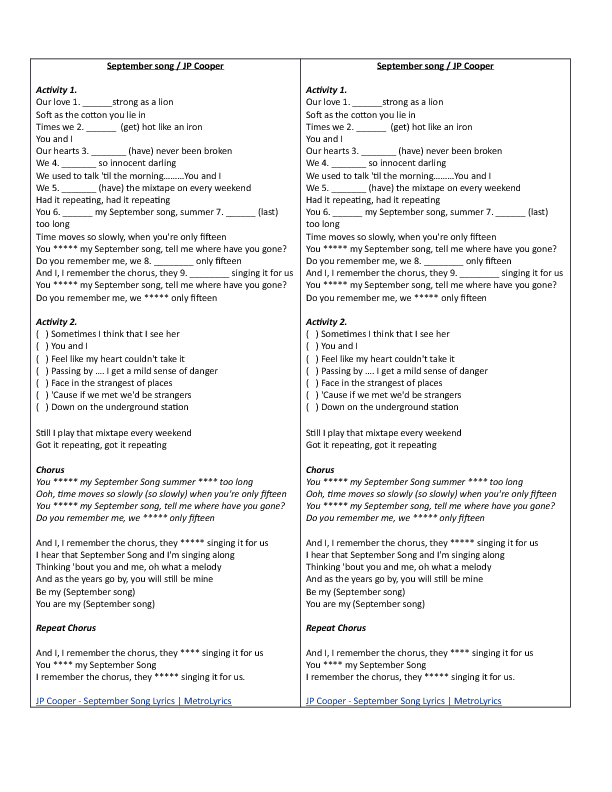 Listening activity for beginners, this is useful to study was/were and verbs in simple past, by the way the song is great! 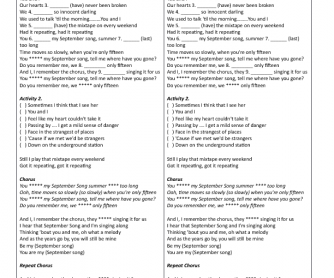 Icludes filling gaps and ordering sentences activities as well. Works well with teens at beginner level or pre-intermediate levels.